Having made his living by working in the entertainment industry full-time for the last 40 years, Kewley has gained invaluable knowledge in almost every area of the industry, not just as a performer but also as a writer, producer, designer, and so on. Although not trained as a teacher (or as an actor for that matter!) Kewley has been in demand for many years as an audition and screentest coach, preparing young (and old) Melbourne actors with scene and character work. He is also regularly employed as a Script Editor and Consultant on scripts and development of Student Films at VCA, Rusden and Swinburne, and has lectured film students about the process of working with actors. He has also been the MC and/or Guest Speaker at a number of functions and seminars run by Equity (MEAA), including Make Your Own Fun and the annual Equity Graduates Days, held at the Malthouse Theatre, for the graduating students of WAAPA, the National, the VCA as well as Ballarat, Flinders and Tasmanian Universities. Since 2004 Kewley has run a number of his short courses for actors as an “introduction to the industry” known as ACTING ESSENTIALS, covering everything from scene work and auditions, to on-set etiquette and understanding the complex Agent / Casting Consultant / Actor triangle. 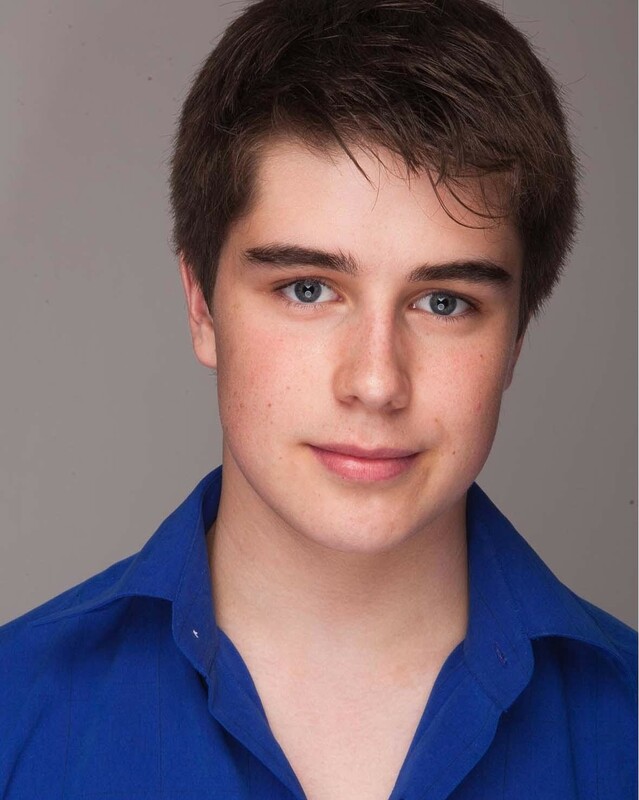 After taking the Acting Essentials course in 2011, MITCHELL HOPE worked opposite Kewley in the short films WHEEL, THE KEY TO CASTING and CLYDE’S TRACK, and was cast by Kewley in YES MUM, the 2 minute cinema commercial for the TAC. 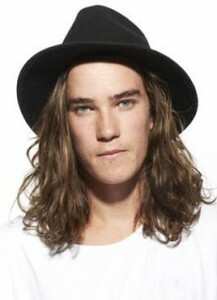 He played the younger version of Tim Farris in the INXS: NEVER TEAR US APART mini-series for the Seven Network. 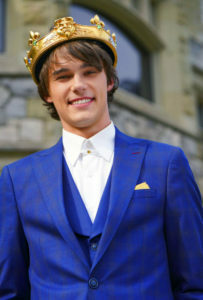 At the end of 2013 he signed with Disney in the US to play the lead role of Prince Ben in their DESCENDANTS trilogy. 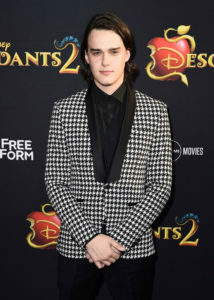 He began shooting the first film in Vancouver in May 2014 opposite Dove Cameron, Kristin Chenoweth, Kathy Najimy and “Twilight” star Booboo Stewart. 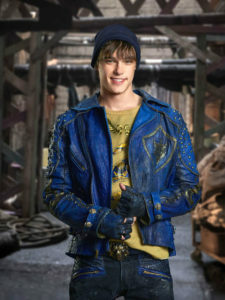 He is now represented by United Talent Agency in the US, who also represent Johnny Depp, Harrison Ford and many others! 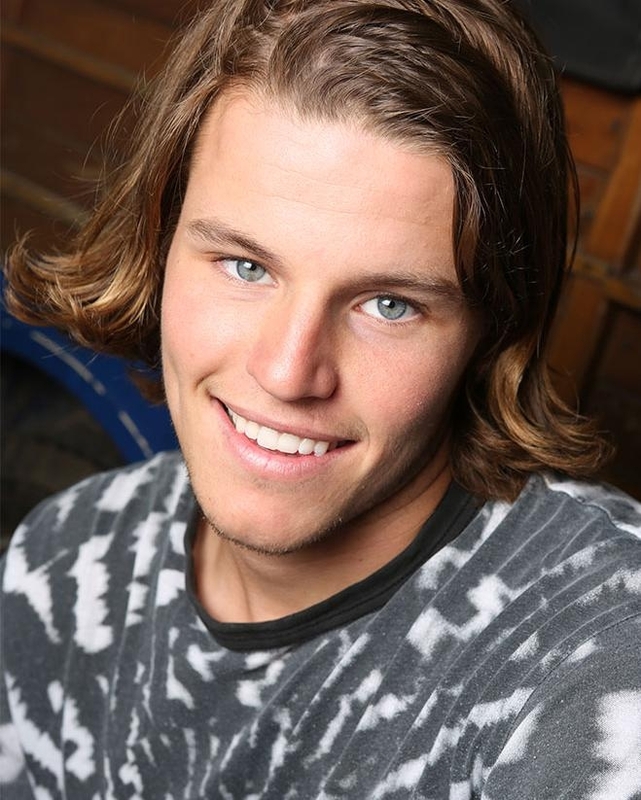 ANDREW MORLEY played one of the lead roles in the 2012 Network Ten/Nickelodeon television series LIGHTNING POINT (aka ALIEN SURF GIRLS) which he shot at the Warner Studios in Queensland (left) followed by three years (and 231 episodes) as Spencer Harrington in one of Australia’s most popular television series – HOME AND AWAY. 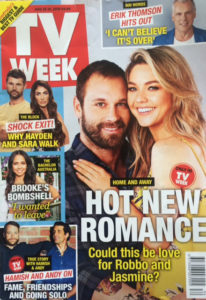 After completing his contract on HOME AND AWAY Morley returned to Melbourne to join the cast of NEIGHBOURS where he played the role of Jack Callaghan over 364 episodes from 2016 to 2018 (below right with Olympia Valance). Morley also starred in the short films ICE (right), CLEAN, and SHEPHERD’S HILL – all opposite Jeremy Kewley. In the US he is represented by leading Hollywood Talent Management Consultants ‘Managem ent 360‘. 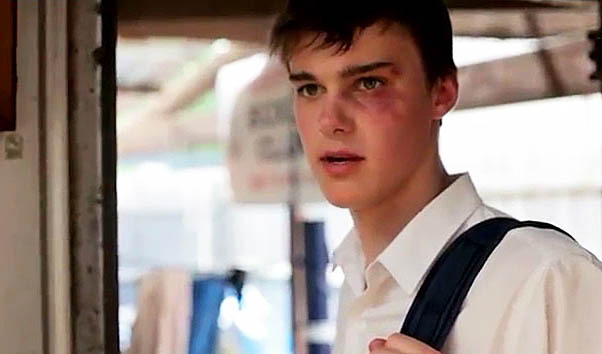 Since taking his first tentative steps with Jeremy Kewley’s ACTING ESSENTIALS in 2009, AARON JAKUBENKO has gone on to build up an impressive list of credits. After appearing in UNDERBELLY FILES: THE MAN WHO GOT AWAY, he featured in AUSTRALIA ON TRIAL, played one of the leads in the feature film THE BALLAD OF DES & MO and starred as ‘Yuri’ in CONSPIRACY 365 on FMC on Foxtel. In 2012 he shot the Australian feature film BLINDER opposite Jack Thompson and, after signing with ROAR Managment in Los Angeles, he headed overseas to play Sabinus in SPARTACUS: WAR OF THE DAMNED, his first US television series. In 2012 Aaron was one of the 13 Nominees for the Fourth Annual Australians in Film Heath Ledger Scholarship. 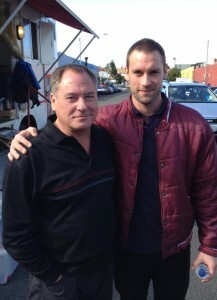 He returned to Australia when he was cast as Robbo Slade in NEIGHBOURS in 2013, played Jack Beazley in the THE DOCTOR BLAKE MYSTERIES (below) and played one of the lead roles in the feature film SPIRIT OF THE GAME opposite Kevin Sorbo before being cast in one of the lead roles in the 2015 US MTV series THE SHANNARA CHRONICLES (2016-2017). He appeared in the 2017 US telemovie A MAN FOR EVERY MONTH and stars in the 2018 Australian Netflix series TIDELANDS. 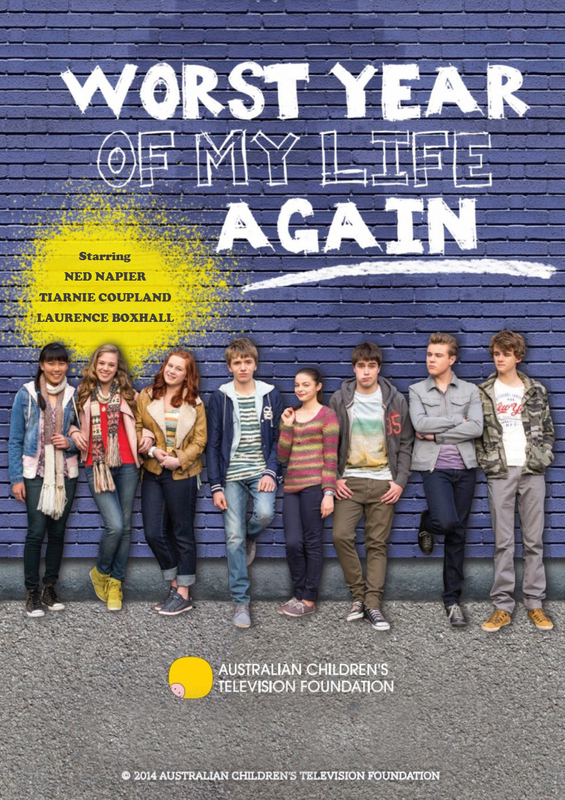 Just 3 months after completing the November-December 2012 Acting Essentials course, student NED NAPIER scored the lead role of Alex King in the BBC/ABC-TV co-production THE WORST YEAR OF MY LIFE, AGAIN for the Australian Children’s Television Foundation. 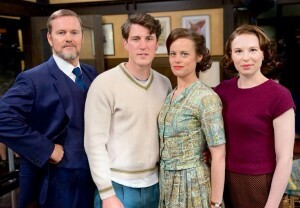 Kewley also has a role in the series. 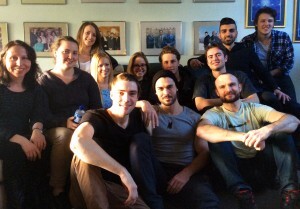 The 13 part television series commenced filming in Melbourne in April 2013. 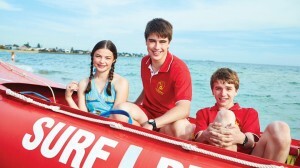 Kewley worked closely with 17 year old Ned in his preparation for the grueling auditions for the series. Kewley also worked closely with Ned on his screen test for the US feature film THE MAZE RUNNER in March 2013. At the end of 2013 he was cast in the pilot of Channel Seven’s HARTMAN’S SOLUTION, and in 2014 he scored the lead guest role in the first episode of the Season 3 of THE DOCTOR BLAKE MYSTERIES on ABC-TV. 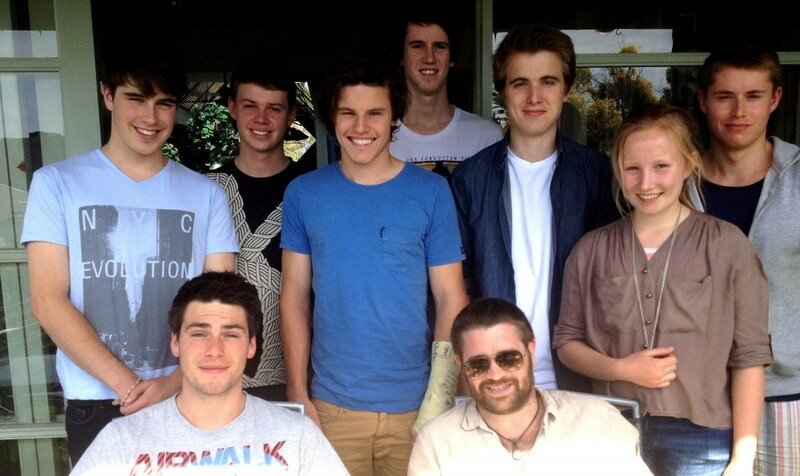 In October 2014 Ned performed the monologue “Awkward” at the highly regarded MILAWA MONOLOGUES. He is currently in Sydney studying at NIDA (the National Institute of Dramatic Art). JOSH GEARY gained representation with Catherine Poulton Management after appearing opposite Lincoln Younes (‘Home & Away’ and ‘Tangle’) and Jeremy Kewley in the film LOCKER. 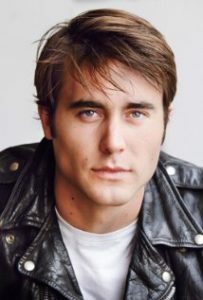 Josh went on to win a Best Actor Award for his performance in the short film IN DARK TREES and appeared in the Network Ten series RUSH and the ABC-TV series DEAD GORGEOUS. He appeared opposite Kewley again in the short films THE KEY TO CASTING and PENELOPE STRING NOODLE. He plays in the lead role of Alex (below) in the science fiction film QUEEN OF THE BEES (2014) and reprises his role of Noel Naylor in REDEMPTION: SINS OF THE FATHER (2014), the sequel to his 2009 Tropfest Finalist ONE IN A MILLION. 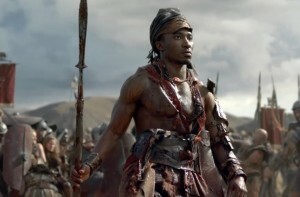 2010 student BLESSING MOKGOHLOA spent 2012 in New Zealand starring as Castus in series 3 of the hit US cable network series SPARTACUS: WAR OF THE DAMNED. Although he is based in Melbourne (and has a Melbourne-based agent), Blessing is also represented in New Zealand by Auckland & Wellington agent Sharon Power Management. Since completing the Acting Essentials course, Blessing has performed on stage at the Loft Theatre at Chapel off Chapel in ALL THAT I WILL EVER BE for Fly-On-The-Wall Theatre, and BAD BLOOD BLUES for Manilla Street Productions – for which he was nominated for the 2012 Green Room Award for Best Male Performer in Theatre (Independent). 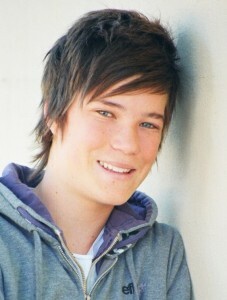 He played Dale Kovak in NEIGHBOURS and also appeared opposite Kewley in two short films – the award-winning DIT IS EK, set in South Africa, and THE KEY TO CASTING. 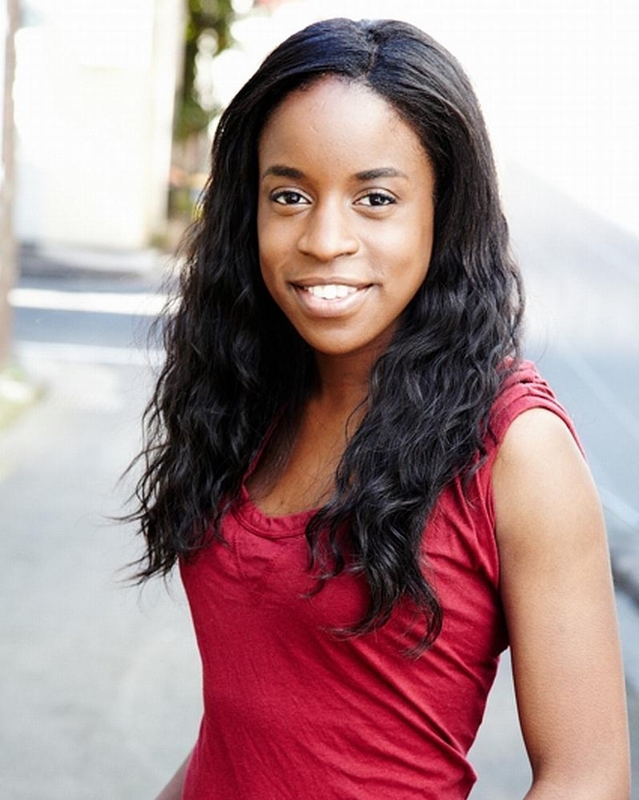 Following guest roles in ABC-TV drama series THE TIME OF OUR LIVES and NEWTON’S LAW, Blessing appeared in the hit 2017 Australian feature film ALI’S WEDDING and was cast as one of the leads in the ABC-TV medical drama series PULSE (2017). One of the very first ACTING ESSENTIALS students, JAKE RYAN moved to Sydney to further his studies at the Actors Centre, then went on to play Constable Ray ‘The Blizzard’ Blissett in Channel Nine’s UNDERBELY: RAZOR in 2011 (right). He went on to play guest roles in the Nine Network’s HOUSE HUSBANDS, and Network Ten’s MR & MRS MURDER. 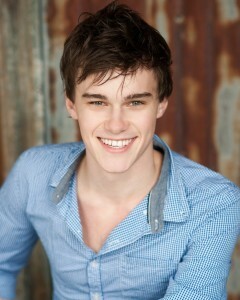 On the big screen Jake appears in THE SAPPHIRES and Buz Luhrmann’s THE GREAT GATSBY. Ryan was reunited with Kewley when they played Uncle and Nephew in the new Nine Network/Screentime series FAT TONY & CO. (2014) and went on to play Bea Smith’s husband Harry Smith in WENTWORTH (2013-2015) on Foxtel. He appeared in the television series of WOLF CREEK in 2016 and the feature films OUT OF THE SHADOWS and BLUE WORLD ORDER before joining the cast of HOME AND AWAY in 2017playing ‘Robbo’ Reid, a role which has brought him a large fan base. 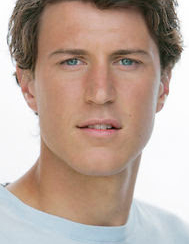 He continues playing ‘Robbo’ in 2018 (pictured). 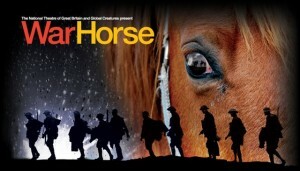 After taking part in ACTING ESSENTIALS in 2009 CLAUDIA HRUSCHKA went on to shoot two motion pictures in 2011 – SCUMBUS and the Working Dog film ANY QUESTIONS FOR BEN? (right) opposite Josh Lawson and Rachael Taylor. 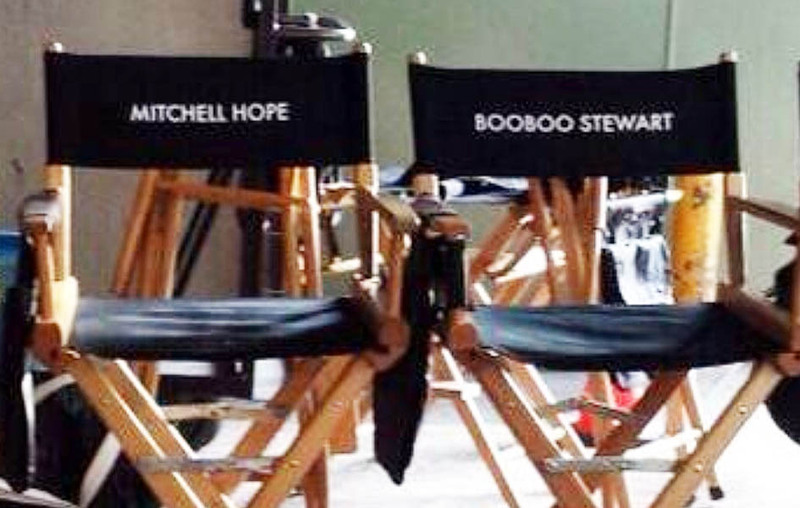 On television she guest starred in Foxtel’s CONSPIRACY 365 and THE LIBRARIANS on ABC-TV and returned to feature films with START OPTIONS EXIT in 2014 and APERTURE in 2018. In 2010, dedicated actress BELINDA JOMBWE flew from her home in Sydney each week to attend the ACTING ESSENTIALS course in Melbourne. In 2011 she starred in the Ensemble Theatre production of MY WONDERFUL DAY (opposite Danielle Carter – left) in Sydney to critical acclaim … and was immediately signed by leading Sydney Agent Lisa Mann. For her role as ‘Winnie’ in MY WONDERFUL DAY, Belinda was nominated as Best Newcomer of 2012 in the Sydney Theatre Awards. At the start of 2013 she opened in the massive hit stage show WAR HORSE at Melbourne’s State Theatre, and toured around the country with the show, playing all of Australia’s capital cities. 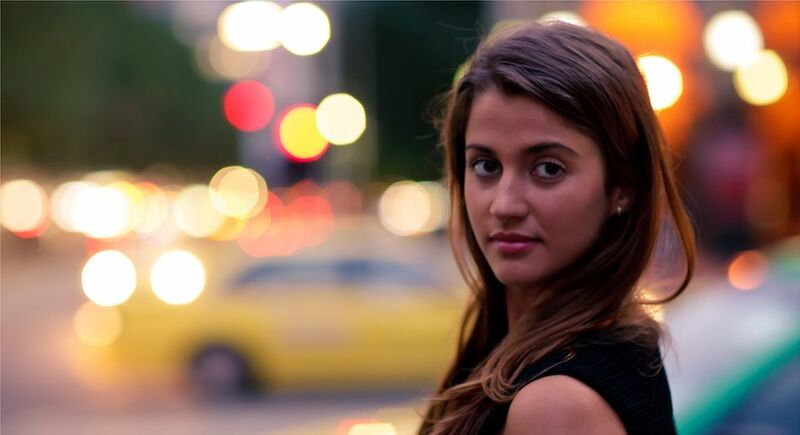 She appeared in the 2017 feature film THE CASTING GAME and opposite Rachel Griffiths in the 2018 SBS drama series DEAD LUCKY. 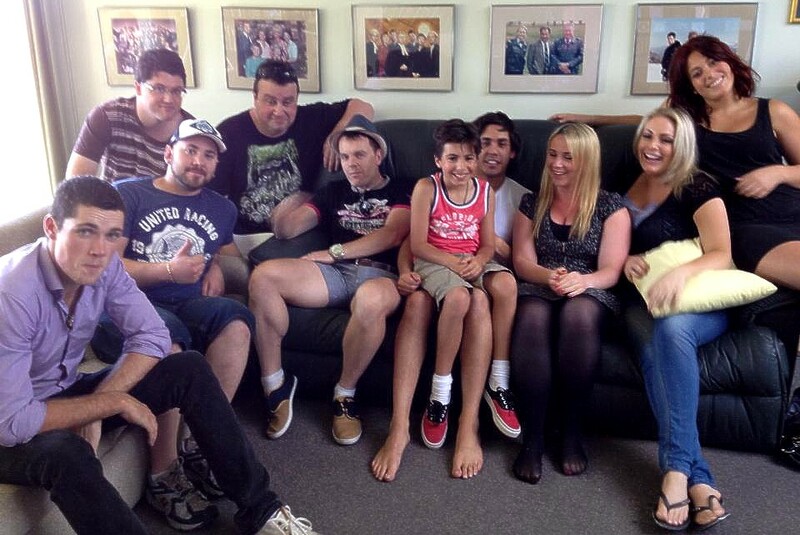 Just after completing the November-December 2012 Acting Essentials course, student KHAN OXENHAM joined the cast of NEIGHBOURS in 2013 to play the recurring role of schoolboy Jayden Warley. He went on to play Jayden Warley in over 180 episodes until 2018, and he appears as sports star Jordie Sutton in the comedy series BACK IN VERY SMALL BUSINESS (2018) on ABC-TV. Khan has played leads in the short films THE DEN, MY BOY and JOYRIDE and in December 2014 he signed with top LA Agency Silver Lining Entertainment whose clients include Emile Hirsch, Martin Lawrence and Evangeline Lilly. 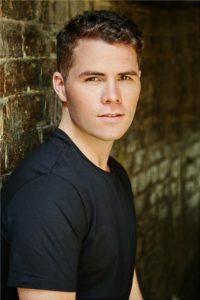 Shortly after he guest starred as Dave Reilly on NEIGHBOURS Lucas was accepted into NIDA (the National Institute of Dramatic Art) in Sydney where he trained full time from 2015 – 2017. 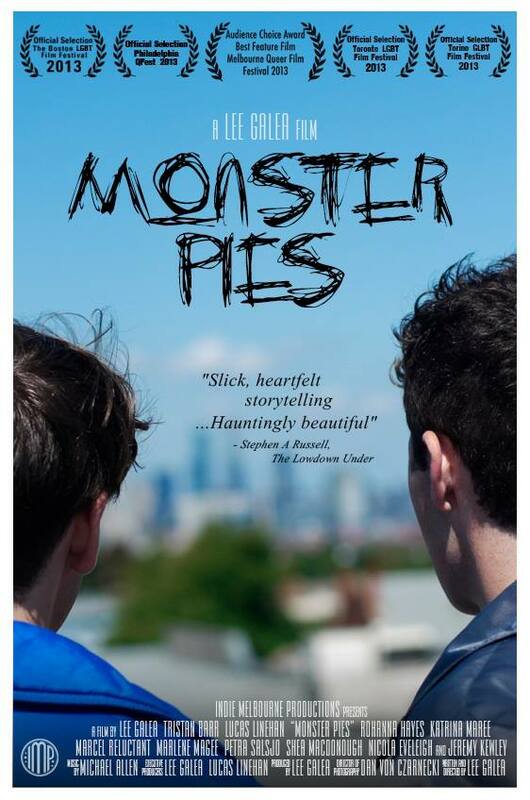 He has reunited with MONSTER PIES director Lee Galea to shoot the musical drama feature film FILTERPHONIC (2019). 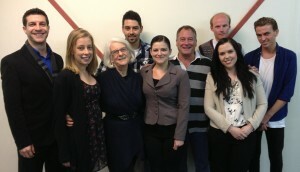 After playing the guest role of Blake Burrell in NEIGHBOURS and the short film CUSTOMER SERVICE opposite Kewley in 2011 (pictured), OLIVER EDWIN went on to guest star in episodes of television series HOUSE HUSBANDS, HOME AND AWAY and UNDERBELLY: SQUIZZY in 2013 before appearing in the US series CAMP opposite Rachel Griffiths. He relocated to America and scored the role of Bill Moyers opposite in Woody Harrelson in the Rob Reiner film LBJ in 2016. In 2018 he guest starred as Jeremy in the US television drama series DIVORCE starring Sarah Jessica Parker and Molly Shannon. 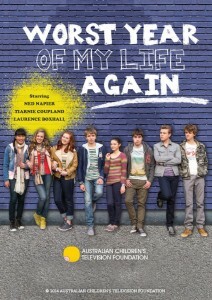 As well as those mentioned above, a number of other ACTING ESSENTIALS students have gone on to appear opposite Jeremy Kewley in a range of short films including MITCHELL HOPE in COMING HOME, LUCAS LINEHAN in BEAT, ISAAC BROWN in SERVES FOUR, TOM CARMODY in ON TRACK, DANIEL HILL in HOMOSEXUALITY KILLS, STEVE SHEERAN in DEAD BEATS, DEAN KIRKRIGHT in COMING HOME, WILL WEATHERITT in HAVE ANOTHER, GENYA MIK in THE KEY TO CASTING … and the list goes on!